Hi friends, today is the world of internet and every person are using internet and in this article I will tell you How we send free SMS online. You know friends you will send these sms absolutely free and your balance will not be cut. 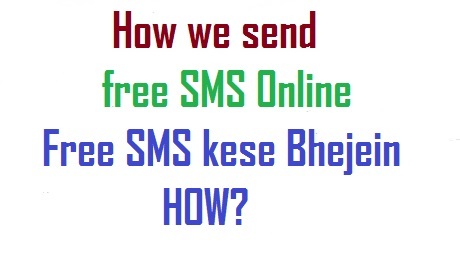 With the help of this trick you will send SMS in all the states of India. I know that there are lots of social networks which are used to send message instantly like WhatsApp, Facebook, Twitter, etc but all these are social network sites do not send SMS directly to your mobile phone’s SIMs. So here you require that type of app which send free SMS. If you are a jio user then don’t read this because it is not for you because you already have jio4Gvoice app. If you are not a jio user then read this article and with the help of this article you can send free SMS online. So friends don’t waste anymore time let’s get started. There are lots of websites available in internet but I will tell you that type of site which is so popular and with the help of this you can easily send free SMS online. After that click on register now options and after that fill your all details and register yourself. With the help of this, you will send free SMS online. Step 2: If you want to open this on your mobile phone then you just go to Google Play store and search Way2SMS app and after that install Way2SMS app and open it. After that register yourself on that app and with the help of this you can send free SMS online. In this article, i tell you that How we send free SMS online and if you have any query about this, then put your question in comment section. I will reply your comment as soon as possible and thanks for reading this and also share this with your friends and family. Must Follow us on your social networks.